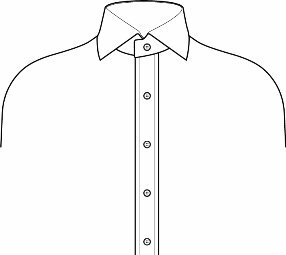 The shirt placket is located at centre-front of a mens dress shirt. Plackets are almost always made of more than one layer of fabric, and often have interfacing in between the fabric layers to give support and strength to the placket fabric because the placket and the fasteners on it are often subjected to stress when the garment is worn. The two sides of the placket often overlap to protect the wearer from fasteners rubbing against their skin and to hide underlying clothing or undergarments. The front style is determined by your choice of placket, which is the fabric edge of the left front panel with the button holes on it. 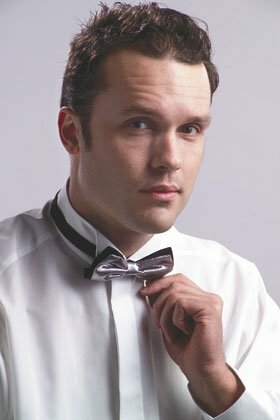 The standard placket is a strip of fabric raised off the mens dress shirt front with stitches down each side; this is what most casual shirts and many dress shirts have standard. Material of the shirt folded to the outside (sometimes a seperate piece attached). Range in size from 1" wide to 2" wide with 1.5" being most common. Two rows of top to hem stitching are present, commonly 1/4" in from each edge. Stitching inset ranges from none (edge) to 1/2". Usually made with very light interlining. Material of shirt folded to the underside. No stitches show but should be present on the underside. Cheaper shirts of this kind use the selvedge rather than stitched interlining. In the more modern plain (French) placket, the edge of the shirt front is folded over to create a creased edge and held together by the button holes. This cleaner, plain front gives shirts a simple look. 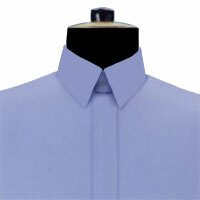 As that simplicity tends towards formality, this front style is considered dressier than the standard placket. Placket Front or French Front with an extra strip behind the center for the buttonholes. Buttons are concealed behind the front center. Another but rarely seen front style is the covered placket. Here the fold is designed to cover the shirts buttons entirely. Rarely seen on off the rack shirts, this front style is geared towards dandies and should not be worn by those looking to blend in. Why You Need A Placket? Because there is often a great deal of stress at a garment opening, a placket is typically reinforced. Garment reinforcement is very important because it ensures that a garment stays securely attached to the wearer and that it will not rip or tear. The closure of a garment is a particularly high stress area, since it is often pulled and twisted against the grain of the fabric. Typically, stiff interfacing is sewn inside a placket in this case to ensure that it will hold up to hard use while retaining its shape. For people who are curious about word origins, "placket" comes from the Old French plaquer, which means "to lay on," and it is not related to "plaque," although the two words do sound similar. A placket is always installed at the time of sewing, as it is an integral part of a garment. 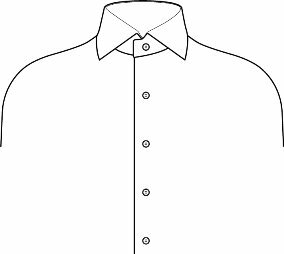 While it is possible to add a concealing flap to a garment later, it is difficult to make the new shirt placket blend seamlessly with the garment, which defeats the point of a shirt placket from the point of view of many designers.